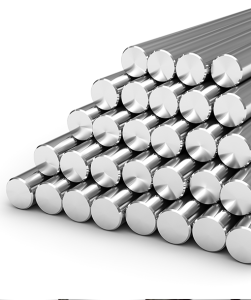 To complement our range of stainless steel tube, we stock a variety of stainless steel bar products in grades 303 (1.4305), 304 (1.4301) or 316 (1.4401). Our close relationships with some of the largest bar producers in the world allows us to meet any quantity requirement. In addition, we stock a range of 1.4404 produced to NACE and various other grades such as 17-4PH and Duplex for use in the oil and gas sector. Due to growing demand, we offer cut billets (pieces) from 10mm thick. These pieces are produced on-site on a cut-to-order basis. Have you tried our Sawn Block products? Manufactured from Stainless Steel Round Bar, it has been praised as a high-quality yet cost-effective alternative to metal plate.